Temperatures are heating up, but don’t say goodbye to the cool tones of winter just yet. Instead, use your favorite shades of blue to add refreshing touches to your existing decor. Try our favorite accessory picks, and soon you’ll see having the blues has never looked so good! Because of its pleasing colour, blue is one of the easiest hues to incorporate into home decor. Whether by itself, or combined with other colours, it just looks good — and it makes your home look good, too! There are many ways to use blue throughout your home. 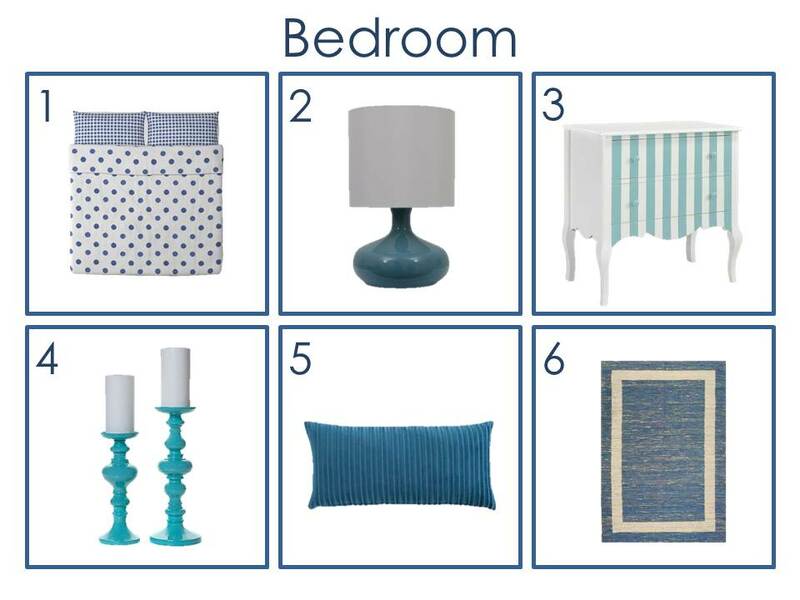 Here are some ideas for accenting with blue in your bedroom, dining room and living room. There’s more to blue than just navy and sky. In fact, there’s a wide range of gorgeous hues that fall within the blue family. For blues with a touch of green, try shades of turquoise, aquamarine and robin’s egg. For hues straight from nature, go for stone, charcoal and gray blues. Pair these two colours to create contrast throughout your space. Blue accessories pop against a white backdrop, instantly creating focal points. Throw in a few extra finishes, like polished silver accents, and you’ll have yourself a serene space that’s both soothing and inviting! As opposites on the colour wheel, blue and yellow are naturally complementary. This means, you can’t go wrong when pairing them together. The key to complementary colour schemes is choosing colours with a similar hue, or colour intensity. It’s also good to include an anchor colour, such as white or gray, within the scheme to keep everything in balance. 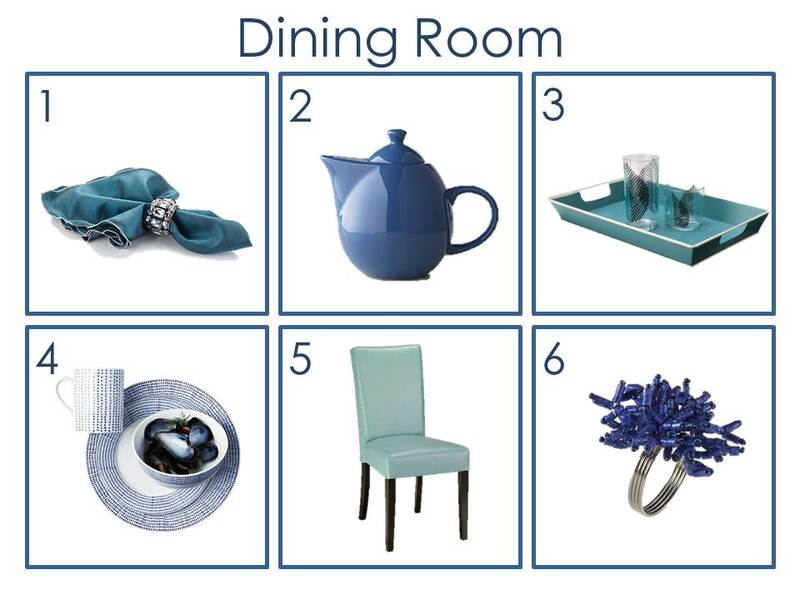 If you’re a blue fanatic, then a monochromatic colour scheme is for you! 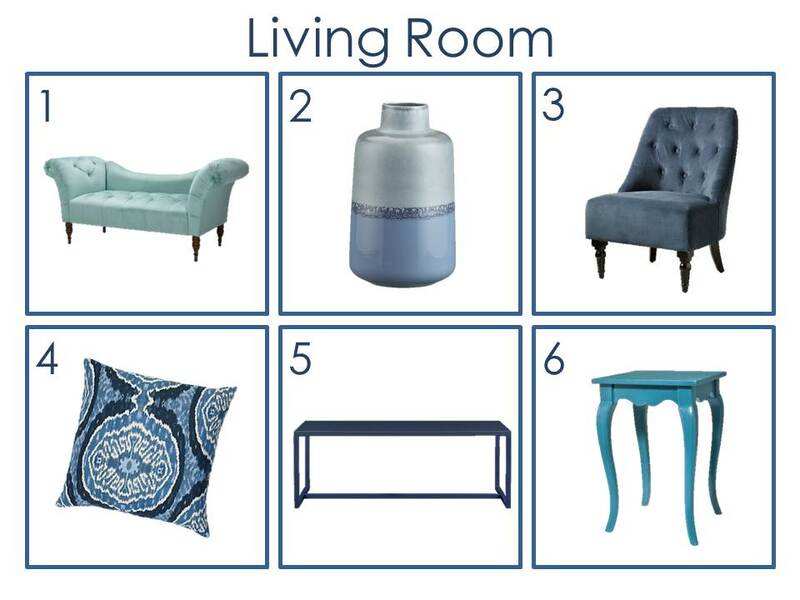 Choose your favorite tones of blue, including darker and lighter shades, then contrast throughout your room. Add a hint of silver and white accents to keep your design from feeling too heavy, and use reflective surfaces, like mirrors, to bounce light throughout the room.